Needed to eliminate erosion caused by rain and wind and that jeopardizes the building. Dimensions are 13.25 ft. x 190.25 ft. The wall is also important so that we can build on the upper level in the future. Please Note: As of February 2017, $1,500 has been donated. This leaves a shortfall of $15,500. 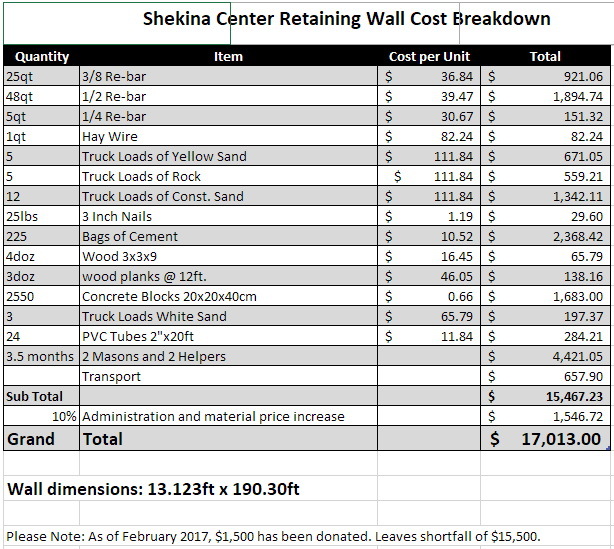 The wall is important so we can build on the upper level in the future as shown in this example photo of a retention wall.